The wait is over. The next step forward for yearbooks is here. Walsworth is thrilled to introduce a whole new interactive experience to students and yearbook staffs with Yearbook AR, the augmented reality app that will allow yearbook content to leap off the page. 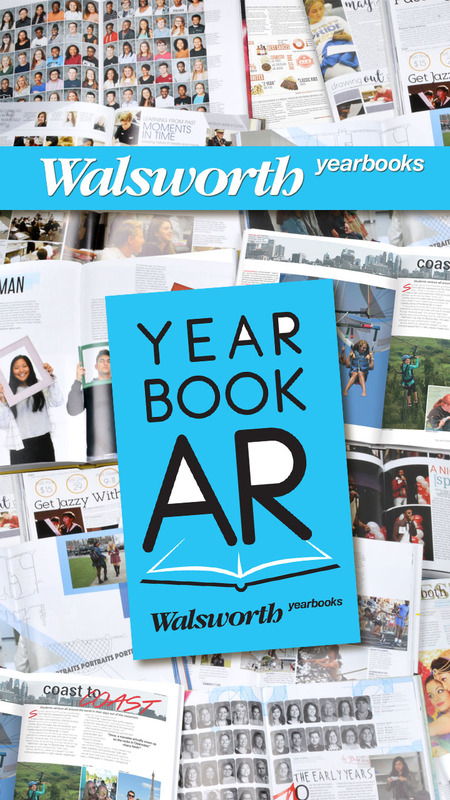 Since 2014, Walsworth has been the AR expert in the yearbook world when it was the first to introduce AR to schools through its Yearbook 3D platform. Now, Yearbook AR will take the experience to whole new level. Yearbook AR doesn’t replace the content in the printed yearbook – it augments it by giving yearbook buyers an additional experience and the opportunity to relive the important moments of the school year. Through Yearbook AR, yearbook staffs will be able to build experiences for the reader that range from creating a yearbook cover with a mascot that can spring to life to an image of the homecoming football game that jumps right into a video clip of the game highlights. And any of these effects are easily scanned and viewed using Walsworth’s Yearbook AR app, which is free to download from the App Store or Google Play. Walsworth is partnering with augmented reality specialists Blippar to create Yearbook AR. Walsworth Yearbooks schools interested in using Yearbook AR will be using Blippar’s powerful AR creation tool, Blippbuilder, to create their animations, known as blipps. A new section, fully devoted to Yearbook AR and Blippbuilder, has been launched today on Walsworth’s Yearbook Help website, which will provide guidance for yearbook staffs as they grow their Yearbook AR presence. You can learn more by visiting our Yearbook AR page at walsworthyearbooks.com/AR, where you can view some sample images that can be scanned with the Yearbook AR app. In addition, if you are interested in getting a demo of Yearbook AR, you can email yearbookar@walsworth.com or fill out the form located at walsworthyearbooks.com/AR.